"Tight, slight page yellowing, clean, slight tilt. Rubbing to back cover. ""A few square miles of godforsaken sand and rock: a spot on the map called El Guettar. The Troops - Men who a year before had been civilians…The Enemy - The cream of the Fascist Army and behind them the heretofore invincible Panzers of Rommel's Afrika Korps..."" 186 pages." 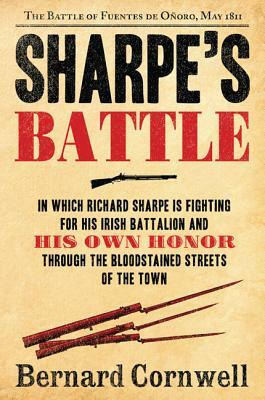 "Sharpe's Battle: Richard Sharpe and the Battle of Fuentes de Onoro, May 1811"